The world of compact cars can be a busy one, but one of the standout stars has always been the Honda Civic. 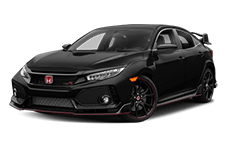 Now, with the all-new and completely redesigned 2016 Honda Civic Coupe and Civic Sedan, this iconic vehicle returns to the ring in perfect fighting shape. Come and see the Civic at Brandon Honda in Tampa and you are sure to be amazed at the power, performance, and panache that have been packed into this svelte car. Brandon Honda in Tampa has the Honda Civic in stock now, so come and see us today! The 2016 Honda Civic is all-new and ready to take on its rivals, and though the Mazda3 may be a good competitor, the Civic has it beaten before the rounds even begin. In a compact car, interior space is a major concern. But you won't have to worry if you are driving the 2016 Honda Civic. In the sedan model, you will find 97.8 cubic feet of total passenger space. By contrast, the Mazda3 sedan only offers 96.3 cubic feet in total from its cabin. The 2016 Civic sedan has two inches more leg room in the rear seats and one and a half inches more headroom in the front seats than the Mazda3. The Civic also offers more second-row shoulder room, more front-set legroom, and a much larger trunk than that of the Mazda3. Banish back-seat bickering for good and go with the 2016 Honda Civic. 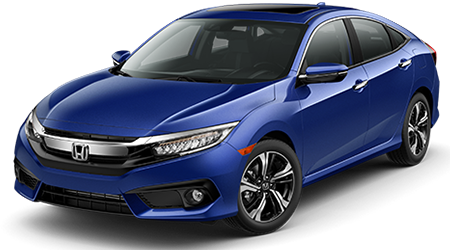 The 2016 Honda Civic is available with either a 2.0-liter naturally aspirated four-cylinder with 158 horsepower or an all-new 1.5-liter turbocharged four-cylinder rated for 174 horsepower. The addition of the turbocharged engine is a new trick for the Civic, and it's already taken the driving world by storm. 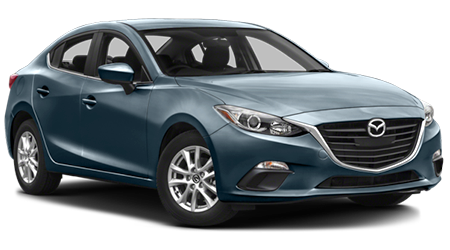 On the other hand, the Mazda3 features a single engine, a 2.0-liter four-cylinder that makes 155 horsepower. Too bad for the Mazda3; both of the Civic's engines are more powerful and there's just no way for the Mazda3 to compete with the amazing turbocharged engine in the new Civic. Shoppers looking for a small car often have fuel economy on their minds, so if you are one of those environmentally-minded shoppers, look to the 2016 Honda Civic. This little beauty, when properly equipped, can return up to 31 miles per gallon in the city and 42 miles per gallon on this highway*. The Mazda3 earns good MPG ratings too, but it's no match for the Civic with its 29 city and 41 highway mpg. Point goes to the new Honda Civic! Now that you have heard all of the facts, hurry down to Brandon Honda in Tampa and explore the Honda Civic in person. 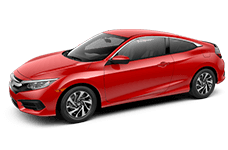 Whether you opt for a sedan or a coupe, the new Honda Civic will provide you with amazing performance and spirited driving dynamics for many years to come. * 27 city/40 highway/31 combined mpg rating for 6MT model. 31 city/41 highway/35 combined mpg rating for LX & EX CVT models. 31 city/42 highway/35 combined mpg rating for EX-T, EX-L and Touring CVT models. Based on 2016 EPA mileage ratings. Use for comparison purposes only. Your mileage will vary depending on how you drive and maintain your vehicle, driving conditions and other factors.